Candied blue raspberry, raspberry and blueberries. I get mostly blueberry and the candy base with a hint of raspberry after a 3 week steep. Was hoping for more raspberry out of this one, but it's certainly still good, very easy on the throat too. I think I might like other flavors in the candy shop line better, but I'm glad I tried this! Wow! Right outta the mailbox! This stuff is on point! I had a blue razz salt nic and loved it. Figured id try this out. ITS SO GOOD! Can't go wrong with Cand Shop Juice! This is a very good mix. Similar to blue razz candy but a touch less sweet. Great natural blueberry and candy blueberry with a perfect razz berry flavor. Not a coil killer. One of my favorites. So far, every Candy Shop juice i’ve tried has been great. 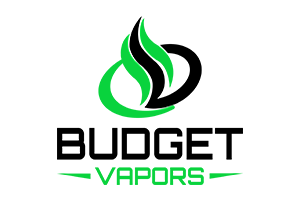 Their flavors aren’t too overpowering so they generally make great all day vapes. Blue Rush is no exception, CS nailed this blue raspberry flavor. I bought this juice my first week vaping. Initially I wasn’t the biggest fan. I have however learned more than a few things since that first week. I just topped off my tank (hadn’t had this flavor for a couple months). I am now running a fireluke mesh which allows the flavor to present itself. I am very glad I gave this juice another chance. I have quit the collection going 20-25 flavors most of which are $30 premium juices. I had all but forgotten this juice. The flavor is solid and the cloud production is decent. For the price this juice is a must buy. So good and sweet, like a blueberry blast!